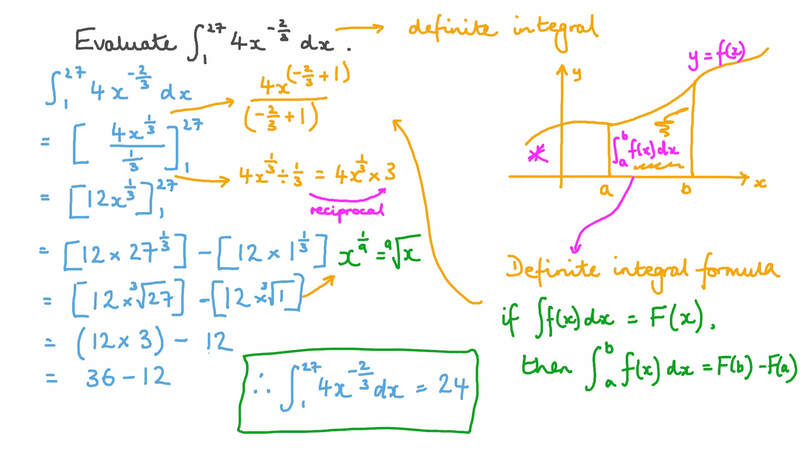 In this lesson, we will learn how to evaluate definite integrals. Evaluate  4 𝑥 𝑥 2 7 1 − 2 3 d .
Evaluate   4 5 𝑡 + 3 4 𝑡 − 2 3 𝑡  𝑡 1 0 3 2 d .
Evaluate   8 𝑣 + 1 2 𝑣 + 3  𝑣 1 0 7 3 d .
Evaluate  − 5 𝑒 𝑥 3 − 3 d .
Determine   − 6 𝑥 − 3  𝑥 1 − 1 2 d .
Determine  3 𝑥  − 3 𝑥 + 1  𝑥 1 0 2 2 d .
Let 𝑓 ( 𝑥 ) = 6 𝑥 + 1 2 . 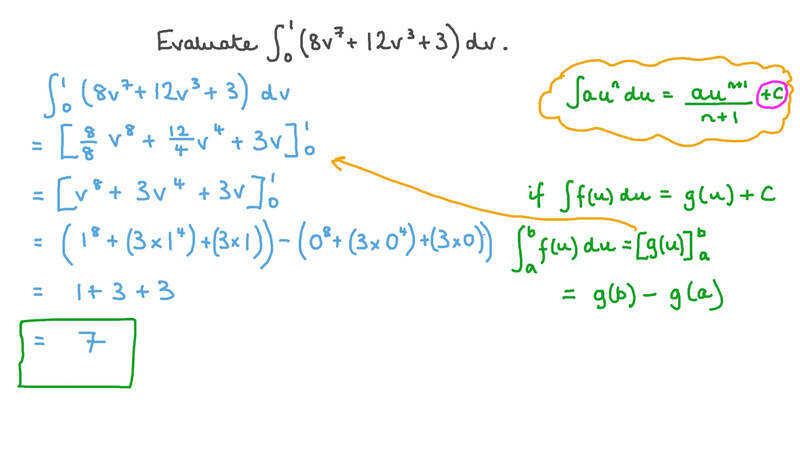 Evaluate the definite integral of 𝑓 from 𝑥 = 2 to 𝑥 = 3 . 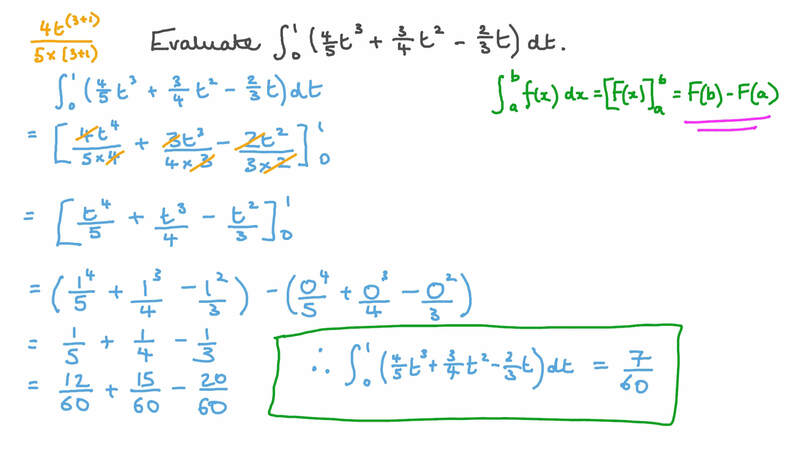 Evaluate  ( 𝑢 + 2 ) ( 𝑢 + 1 ) 𝑢 1 − 2 d .
Evaluate  𝑥 𝑥 1 − 1 8 8 d .
Let Determine  𝑓 ( 𝑥 ) 𝑥 3 − 1 d .